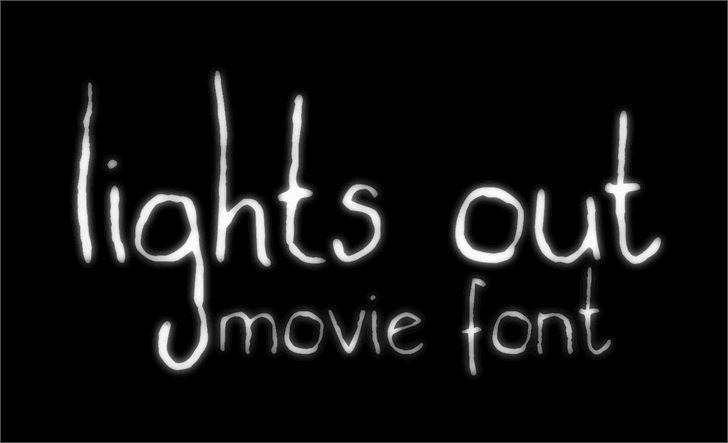 "Lights Out" Movie/Short font. All rights reserved. Font created by Mawhrt. It contains some variables in lowercase letters.